With just four weeks left in season three of Fortnite: Battle Royale, the clock is ticking on ranking up your Battle Pass and reaching tier 100 to unlock the vaunted Reaper skin and much more. Thankfully, a new week means a new set of challenges and 50 new stars to help blow through some tiers on your way to maxing out all of your loot. Let's take a look at what this week's challenges are. There's actually quite a few chest spawns in Lonely Lodge, including in the massive watch tower, the cabins surrounding it, and the big lodge building itself. This one should come pretty easily, as shotguns are a large part of Fortnite. Just get aggressive and push up on some enemies and you'll unlock this one in no time. 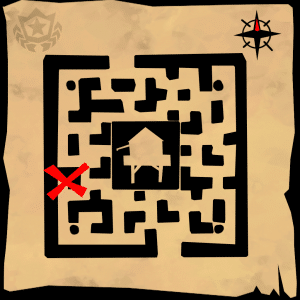 Another straightforward challenge, but this one might require some luck and cooperation with your teammates for them to let you do the honors of searching these. If you hear some crazy laughter in the background of a named location, you're not losing your mind (probably). It's most likely a little gnome tucked into a corner somewhere. Find them and pick them up for five more stars. This video by YouTuber D00M H1GGSY will help. This week's treasure map will immediately be recognized as Wailing Woods. Head over to the maze on the east side of the map to claim your stars. You'll need to use either a suppressed pistol or suppressed SMG to get the kills needed for this challenge. Shifty Shafts, just south of Tilted Towers, is a relatively small area to the naked eye, but the mines underneath the top level of the region are ripe for lots of cool engagements.